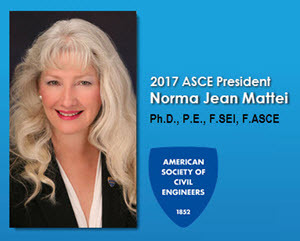 With the ASCE 2017 Convention in New Orleans this fall, ASCE President Norma Jean Mattei, Ph.D., P.E., F.SEI, F.ASCE, has the unique opportunity of welcoming attendees to her hometown. New Orleans faces significant challenges as a zero-sea-level city, and was severely tested by Hurricane Katrina in 2005.It has emerged as a beacon of civil engineering resilience. 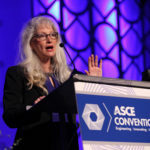 As an overview of what Convention attendees will find in 2017, Mattei outlined some of her home town’s challenges and successes for ASCE News. Civil engineers will face plenty of challenges in the coming years. Perhaps none is more urgent than the rise of global sea levels. There are many issues affecting coastal cities due to sea-level rise. New Orleans is a zero-sea-level city, but it isn’t a coastal city … yet. New Orleans is vulnerable to flooding from three sources: rain, riverine, and storm surge. Flooding due to storm surge is now mitigated by the Hurricane and Storm Damage Risk Reduction System, put in place after Hurricane Katrina’s long-term flooding. Before the HSDRRS, the city was protected from surge by the Hurricane Protection System. The HPS was authorized by Congress after Hurricane Betsy flooded the city in 1963. 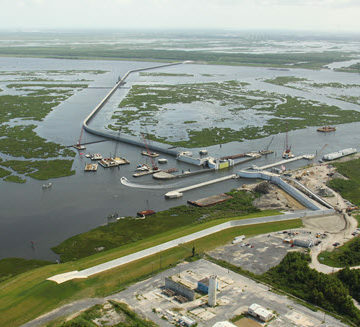 In 2005, storm surge from Katrina breached HPS levees and damaged floodwalls. The system failed at many locations and the failures were attributable to several things. Most people do not know that one of those reasons was that the HPS was not complete at the time Katrina hit the city. Large civil infrastructure projects such as the HPS are authorized by Congress, yet Congress appropriates funds at low levels each year. Because of this, large civil infrastructure projects typically take decades to complete. 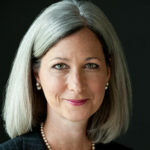 Costs escalate over the years, and often design bases change when new historical data statistically warrants changes. 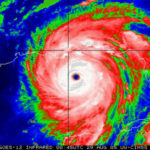 The Project Design Storm for the HPS, set in 1963, increased in 1972, while HSDRRS’s design is based on Gulf of Mexico storm probability (both strength and storm path). New Orleans hasn’t experienced riverine flooding since the Great Mississippi River Flood of 1927. The Great Flood was the most devastating flood in U.S. history. In 1928, Congress authorized what is now the Mississippi River and Tributaries Project (MR&T). The Mississippi River Commission was tasked by Congress to oversee the MR&T, and implemented the Room for the River Plan. Forty-one percent of the nation is drained by the Mississippi River – and that is a lot of water, especially when an extreme event occurs (snow melt and rain storms over a significant portion of the middle of the country). The MR&T consists of levees, backwater areas, and three floodways: New Madrid in Missouri and the Morganza and Bonne Carre in Louisiana. The only time all three floodways were operated was to avert a major flood in 2011. The Project is 600 miles long, between 25 and 125 miles wide, and covers portions of seven states. It starts near Cape Girardeau, MO, and ends at the mouth of the Mississippi in southeastern Louisiana. At the Old River Structure in northern Louisiana, 30 percent of the Mississippi River’s flow is diverted down the Atchafalaya River basin to protect the population centers of New Orleans and Baton Rouge, the largest port complex in the country, and critical energy infrastructure. By far the most common cause of flooding is a severe rain storm. New Orleans is topographically a bowl. The city sits in a bow of the Mississippi River, which is why it is often called the Crescent City. The river is high ground. To the north of the city is Lake Pontchartrain; the shore of the lake is also high ground. There is very little difference in elevation, and every foot of increase provides significant flood protection from a heavy rain. My home address is on Ridgeway Drive. There is a reason the street is called Ridgeway: my home sits on a ridge that used to be the bank of the Mississippi in the distant past. My home was high and dry after Katrina. New Orleanians will park our cars in a parking garage or on the neutral ground of an arterial street (we call the median of a boulevard neutral ground – that is another story) if heavy rains are forecast, to keep our cars above stormwater. Stormwater drains via gravity through the piping system to a series of canals, where pump stations pump the water out into the lake. A fast, heavy rain can overwhelm the pumps, causing what FEMA calls nuisance flooding – street flooding and sometimes the flooding of homes located in the lowest areas of the city. A critical issue many coastal cities have is that of drinking water. Many coastal cities near rivers get their municipal water from that nearby river. 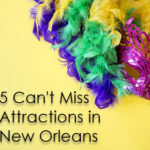 Although many people think of New Orleans as being on the coast of the Gulf of Mexico, the French Quarter is located close to mile marker 100 on the Mississippi River. That means that there are 100 miles from the mouth of the Mississippi to the Quarter. Coastal communities in Plaquemine Parish, south of New Orleans, also get their municipal water from the river, but they are located closer to the mouth of the river. During high tide and other events, salt water from the Gulf pushes up into the river. The U.S. Army Corps of Engineers combats this saltwater wedge by building a sill on the bottom of the river above the wedge using dredged materials. Since salt water is heavier than fresh water, the sill keeps the saltwater wedge from moving upriver, but doesn’t impact navigation. Because of sea-level rise this saltwater wedge, when it occurs, is moving farther upriver. In the future, the sill will not be a sustainable option and coastal communities will have to look for another source of drinking water. Zero-sea-level coastal communities face the threat of sea-level rise. Miami is such a city. Miami’s storm drainage system is gravity flow. As the level of the Gulf increases, the stormwater outfalls are falling below the level of the Gulf during high tides. This is sometimes even causing a backflow of salt water into low-lying streets. An associated problem is the location of wastewater treatment facilities. Wastewater treatment plants are usually located in the area of the municipality with the lowest elevation. Treated wastewater is often then dumped into the sea via gravity flow. Again, as sea levels rise, gravity flow will not work. Salt water can then migrate up into the treatment plant, causing all kinds of operational headaches. These systems were not designed with valves that can be operated during high tides to prevent backflow. Coastal roadways, once never inundated, are now underwater during high tides. Expensive beachfront properties require beach renourishment more often, not just after a major storm. The cost of mitigating these issues escalates as the sea continues to rise. As populations continue to shift into coastal communities and become vulnerable to sea-level-rise related risks, engineers in government and in the private sector need to make hard decisions to make coastal communities more resilient. We, as civil engineers, must not turn away from the rising sea levels around us. We must embrace the challenge. And the first step to any solution is learning about the problem. 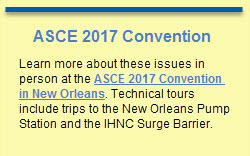 Learn more about these issues in person at the ASCE 2017 Convention in New Orleans. Technical tours include trips to the New Orleans Pump Station and the IHNC Surge Barrier. Zero-Sea-Level problem is also a serious matter of concern to Tokyo eastern part of which became below-sea-level due to the land subsidence (max. 4.5m) caused by heavy deep-well pumping during a period of 1870-1970. A situation most likely to happen seems to be a compound disaster caused by a big storm surge (expected as high as 5m) in Tokyo Bay coming before the completion of repair works of seawalls, flood gates etc. damaged by a preceding earthquake. It concerns us that the sea water would flow into the underground facilities including the subway network covering whole area of Tokyo. It would take considerably long period to recover the full performance of subway operation because removal of the sea water from the flooded area can be done only after the repair work of damaged seawalls/ flood gates. We have the same zero-sea-level problem in many areas in the world.